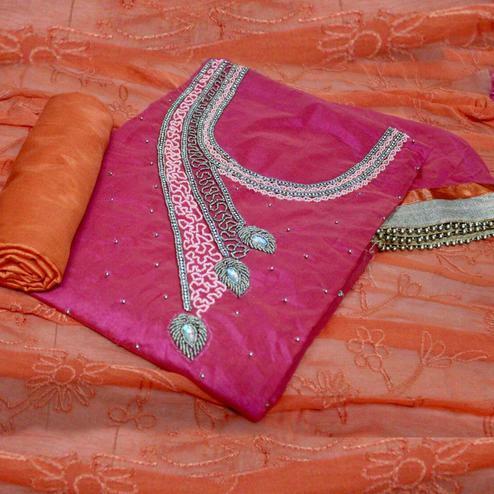 Feel adorable in this light pink colored embroidered casual wear cotton salwar suit. 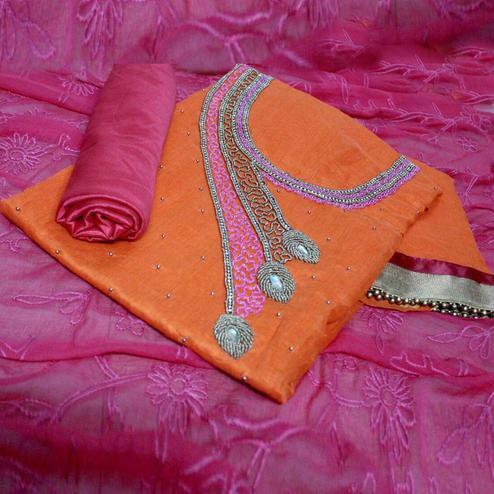 The suit is of cotton fabric and is un-stitched and has beautiful combination of colors in pink and beige. 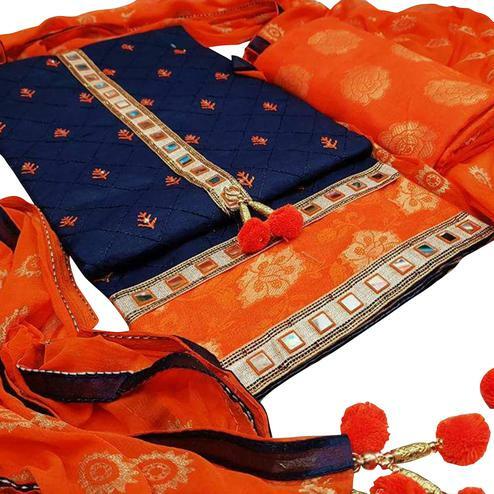 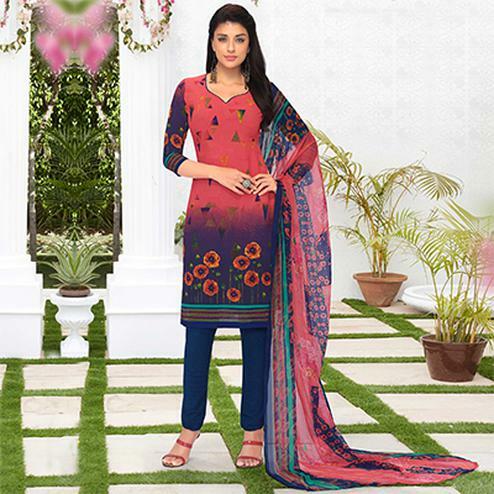 The suit also has very little embroidery which makes it look so classy and also makes it very comfortable for hot casual days at work or for an everyday use.The suit is perfect for daily wear and to be at ease all day.The suit comes with a contrasting cotton bottom and multicolored chiffon dupatta. 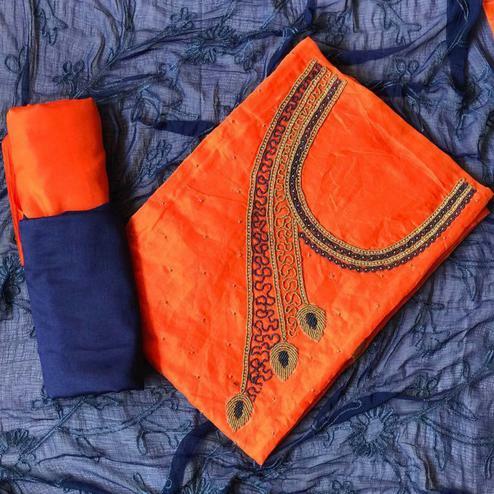 You can wear this at work,office or an everyday outing,friendly meeting. 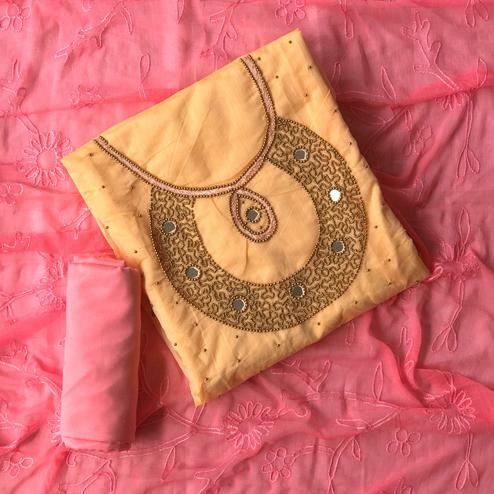 Pair this with minimal jewellery of your choice and you are good to go.